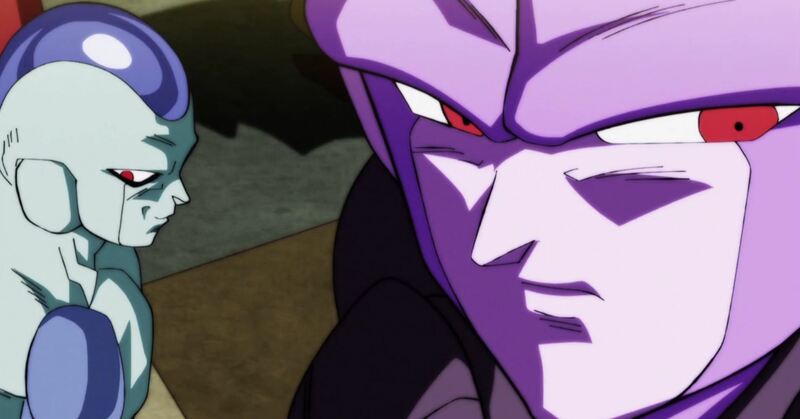 The tournament of power begins and the Great Priest establishes the rules. The time limit is 100 taks or the equivalent of 48 Earth minutes. The pillar at the center of the battle stage will disappear into the stage when the time is up. The fighters can’t fly, use weapons or kill. Gohan wastes his time going over the strategy for the tournament. Unsurprisingly, the Androids (17&18), the full saiyans (Goku & Vegeta), and of course Frieza quickly part ways to fight on their own. Goku goes directly towards Toppo, but is interrupted by Ganos. 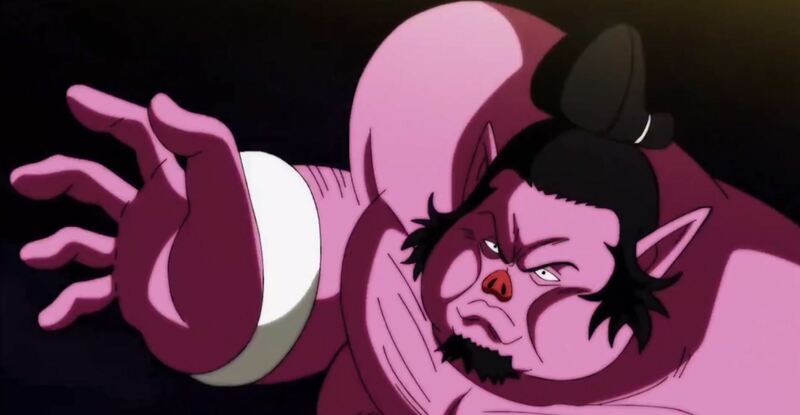 Narirama, the robot from Universe 3, uses a spinning move called “Super Survival Mode,” it successfully knocks some fighters away. 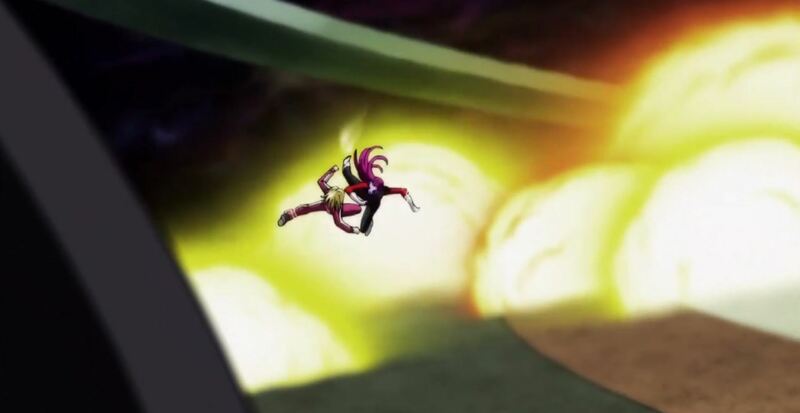 However, Hit and Basil stop the robot and the female warrior, Lilibeu from Universe 10 faces off against Basil. She is the first to get knocked off and it reveals that when a fighter gets knocked off you are transported to the bench. Gohan, Piccolo, Krillin, Tien, and Master Roshi are surrounded and they use a combo of an energy barrage from Gohan, Tien’s Solar Flare, Piccolo’s Special Beam Cannon, Krillin’s Destructo Disk, Roshi’s Kamehameha, it has no effect. Basil is fighting against Napapa, a pink Sumo-wrestler, he fails to knock him off the stage. 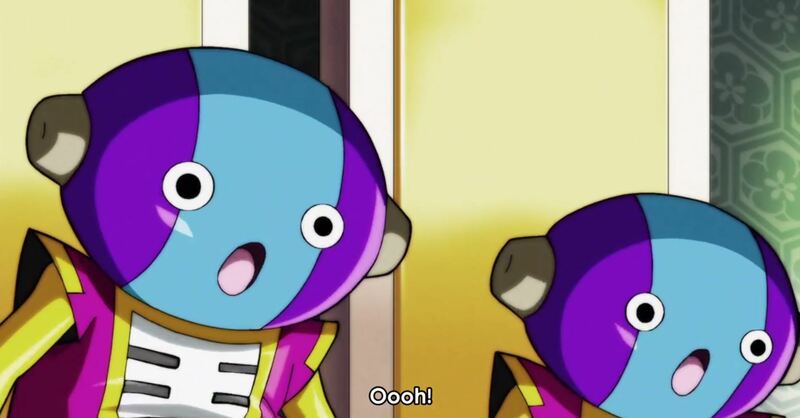 Goku mindlessly stares at Toppo, then Jiren and allows Nink to grab him. Nink attempts to sacrifice himself, along with Goku. 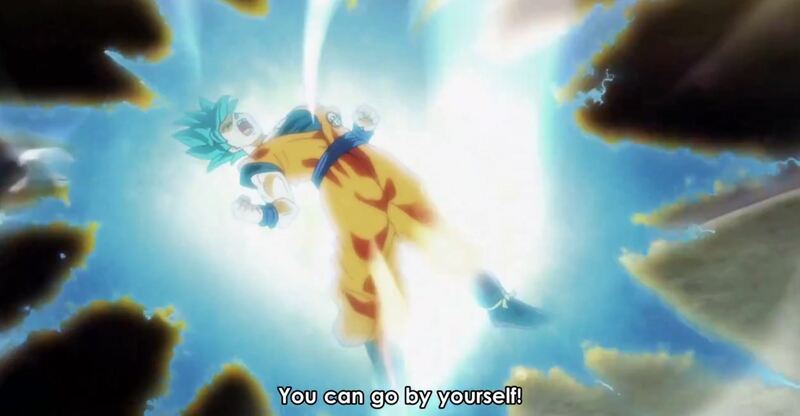 However, Goku uses Super Saiyan Blue at the last moment, saving himself. Goku wants to save his power for later. 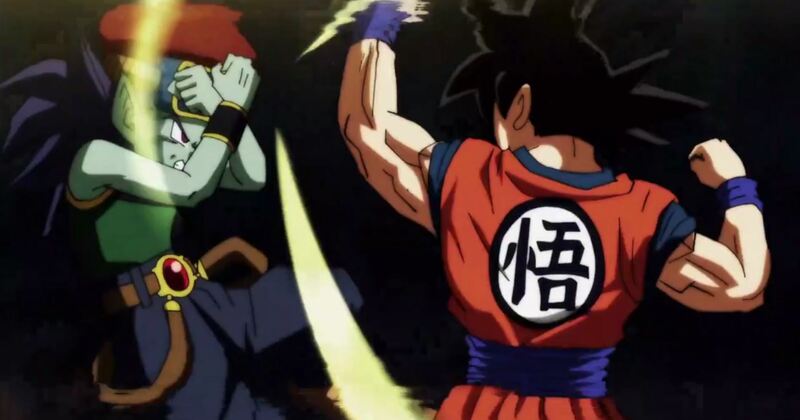 Goku is surrounded by several warriors, as the episode ends with 47 mins. left. I wonder if each episode will be one minute of the tournament, but I doubt it. Regardless, I like the start so far. Basil was the center of this episode which was surprising. He seemed to be the most capable fighter from his universe. Goku is one of my favorite anime characters but his stupidity does get on my nerves sometimes. While, it wasn’t believable that Goku would fall off so early, he really didn’t need to wait so long to get loose. Gohan and the remaining Z fighters are in trouble considering that they don’t make a dent in their opponents. At some point they will get separated and it will be interesting what the results will be then.